The online MBA degree from Murray State University is the #1 ranked MBA Program in the State of Kentucky and #46 of some 240 Online MBA programs in the country. There are two main concentrations for the online MBA: the general MBA and the MBA with a Human Resource Management concentration. Dr. Gerry Muuka, Associate Dean and Coordinator of Graduate Programs, spoke to us about the program at Murray State University. (a) Working professionals (for the most part), for whom class coverage after work and on weekends is an attractive option. (c) Students whose undergraduate degrees ARE in business: and can therefore complete our online MBA within 18 months by taking a maximum of 2 courses a semester. Anything greater than 2 graduate courses is way too much for working students, especially. Where are most of your students located? Part of the reason we have the largest MBA Program in the state of Kentucky has to do with the fact that we draw students from across the United States. We still have a majority of them coming from the states of Kentucky, Indiana, Tennessee, Missouri and Illinois, but our national presence is significant. Using our online platform, Canvas. It has the depth and dexterity to make online learning a pleasant experience for our online students. (a) We have offered the 100% online MBA since 2005, longer than most current online MBA Programs in the country. That means we have the depth and breadth of experience needed to advance the national and international business education needs of our students in the 21st Century. (b) It is fully accredited by AACSB-International—The Association to Advance Collegiate Schools of Business. (c) It is 100% Online. The only time our students are expected to come to Murray, KY, is for commencement at the end of their MBA, so that we can meet them just this once. It is not mandatory that they come to campus, though. (d) It is a 30-credit hour program with two major concentrations: the general MBA, as well as the MBA with a Human Resource Management concentrations. Other concentrations (since as MBA-Finance and MBA-Marketing) will come on board in due course. (e) Our 100% Online MBA is true value for money, with an investment ($1,972 per course in Spring 2015) that is significantly less than other online MBA Programs. (f) Our faculty all have PhD Degrees from regular Doctoral Programs, and have requisite international experience. They have a particular mindset, which is that students invest in an MBA to get value for money. They therefore go out of their way to help, and to be helpful. You will find them to be extremely refreshing. (g) Finally, our students can start the 100% online MBA in Fall, Spring or Summer. They can also finish the program at their own pace, since we allow for students to take a minimum of one graduate course as their particular circumstances allow. A student has 8 years, from the first graduate course, during which to complete the online MBA. A preponderance of our students complete it within 2 years. What opportunities do online MBA students have for networking? Several opportunities are provided on the Canvas platform, in addition to time-tested e-mail communication as well as social media as appropriate. 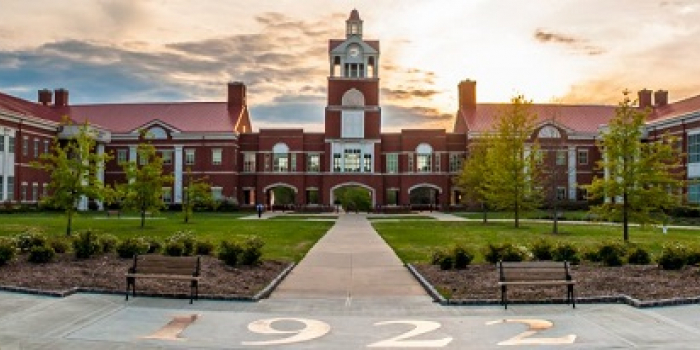 Yes, we do have a well-resourced Career Services Office at Murray State University that both on-campus and online students have utilized over time, to significant benefit. Additionally, from time to time, the Associate Dean (Dr. Muuka) receives requests for qualified job candidates from Corporate America. In other words, we have a multi-faceted approach in place. (a) Ensure that the program in question is AACSB-Accredited: yes, this is an important measure of both quality and rigor. Employers are increasingly concerned about the proliferation of Online MBA programs that do not significantly enhance the job skills of their employees. The 100% Online MBA Program at Murray State University does. (b) We do not have application deadlines, as such, since our students can start in Fall, Spring, or Summer. (c) The Associate Dean and MBA Director (Dr. Muuka: [email protected]) prides himself in ensuring that any questions, e-mails, or phone calls from both current and prospective students are answered expeditiously. All your e-mail questions are answered within 4 hours, unless he is out of the country. Alternatively, the MBA Coordinator (Ms. Debbie Nesbitt: [email protected]) will be here to answer your questions in Dr. Muuka’s absence. (d) Ensure that your MBA Advisor is someone who cares for and about you as an individual person, first and foremost, and takes the opportunity to serve you as a privilege. At Murray State University, this shows up in everything that Dr. Muuka does, on your behalf. Check out more interviews at Online MBA Report's Interview Series.